Dextre the Canadian robotic handyman on board the International Space Station, has done several repair and maintenance jobs to date, as well as the Robotic Refueling Mission technology demonstration, when he became the first robot to refuel a mock satellite in space. The space bot is now poised to claim a first for robotkind: self-repair. This animation shows how Dextre will swap two cameras on Canadarm2 and the mobile base, which together form the three main components of Canada’s Mobile Servicing System. Dextre will start by retrieving a faulty camera located near Canadarm2’s elbow joint. Since the camera is functional, but produces hazy images, Dextre will move it to a less critical location on the mobile base. Dextre will then head over to Japan’s Kibo module to fetch a camera from the module’s transfer airlock —a type of sliding drawer that can be depressurized—where the station’s crew will place it for Dextre to retrieve. Dextre will install the new camera on Canadarm2’s elbow joint, where it will provide critical views of the robotic arm’s movements. In addition to repairing and replacing two valuable cameras used for robotic operations, Dextre’s task has far-reaching implications for what robots could do in the future. Technologies for on-orbit robotic servicing—repairing and refueling satellites in space—hold great potential for addressing the issue of space debris, a growing concern for the world’s space agencies. The work done by Dextre is laying the foundation for the future when one day, robots will be sent to repair, refuel and reposition orbiting satellites. On-orbit robotic servicing could therefore save satellite operators from the significant costs of building and launching new replacement satellites, and help reduce space debris. DENVER, May 19, 2014 – The team preparing NASA’s next Mars lander mission gained a green light today to begin building the spacecraft, which will study how Earthlike planets form. Lockheed Martin [NYSE: LMT] will now begin building the InSight spacecraft. The InSight mission will launch from California in March 2016 and touch down on Mars six months later. 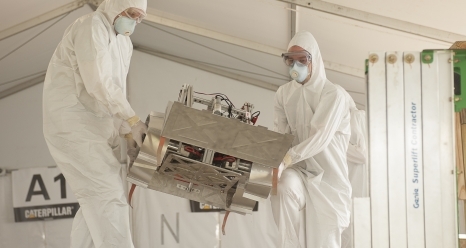 The stationary lander’s robotic arm will then deploy surface and burrowing instruments from France and Germany to investigate the planet’s interior. 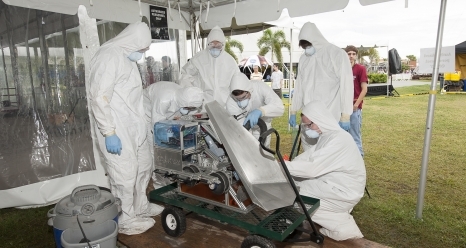 NASA Robotic Mining Competition is for university-level students to design and build a mining robot that can traverse the simulated Martian chaotic terrain, excavate Martian regolith and deposit the regolith into a Collector Bin within 10 minutes. There is particular relevance to NASA’s recently announced mission to find an asteroid by 2016 and then bring it to Cis-Lunar space. The technology concepts developed by the university teams for this competition conceivably could be used to mine resources on Asteroids as well as Mars. NASA will directly benefit from the competition by encouraging the development of innovative excavation concepts from universities which may result in clever ideas and solutions which could be applied to an actual excavation device or payload. The unique physical properties of basaltic regolith and the reduced 1/3rd gravity make excavation a difficult technical challenge. Advances in Martian mining have the potential to significantly contribute to our nation’s space vision and NASA space exploration operations. The complexities of the challenge include the abrasive characteristics of the basaltic regolith simulant, the weight and size of the limitations of the mining robot, and the ability to control it from a remote center. The scoring for the mining category will require teams to consider a number of design and operation factors such as dust tolerance and projection, communications, vehicle mass, energy/power required, and autonomy. 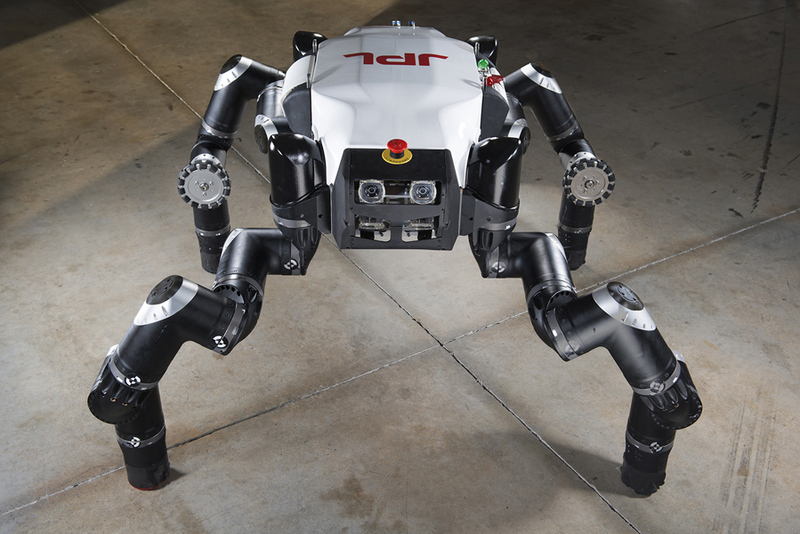 Check out the NASA EDGE Show from the 2013 Robotic Mining Competition.Click here to download the show. NASA’s Low-Density Supersonic Decelerator (LDSD) project, a rocket-powered, saucer-shaped test vehicle, has completed final assembly at the U.S. Navy’s Pacific Missile Range Facility in Kauai, Hawaii. This experimental flight test is designed to investigate breakthrough technologies that will benefit future Mars missions, including those involving human exploration. Three weeks of testing, simulations and rehearsals are planned before the first launch opportunity on the morning of June 3. LDSD was built at NASA’s Jet Propulsion Laboratory, Pasadena, California, and shipped to Kauai for final assembly and preparations. During the June experimental flight test, a balloon will carry the test vehicle from the Hawaii Navy facility to an altitude of about 120,000 feet. There, it will be dropped and its booster rocket will quickly kick in and carry it to 180,000 feet, accelerating to Mach 4. Once in the very rarified air high above the Pacific, the saucer will begin a series of automated tests of two breakthrough technologies. In order to get larger payloads to Mars, and to pave the way for future human explorers, cutting-edge technologies like LDSD are critical. Among other applications, this new space technology will enable delivery of the supplies and materials needed for long-duration missions to the Red Planet. The upper layers of Earth’s stratosphere are the most similar environment available to match the properties of the thin atmosphere of Mars. The Low Density Supersonic Decelerator mission developed this test method to ensure the best prospects for effective testing of the new and improved technologies here on Earth. Anyone with Internet access will be able to watch live as video from the June test is relayed from the vehicle to the ground. The low-resolution images from the saucer are expected to show the vehicle dropping away from its high-altitude balloon mothership and then rocketing up to the very edge of the stratosphere. The test vehicle will then deploy an inflatable Kevlar tube around itself, called the Supersonic Inflatable Aerodynamic Decelerator (SIAD). After the SIAD inflates, the test vehicle will deploy a mammoth parachute called the Supersonic Disk Sail Parachute. Although there is no guarantee that this first test will be successful, regardless of the outcome, the LDSD team expects to learn a great deal from the test. NASA has two more saucer-shaped test vehicles in the pipeline, with plans to test them from Hawaii in summer of 2015. As NASA plans increasingly ambitious robotic missions to Mars, laying the groundwork for even more complex human science expeditions to come, the spacecraft needed to land safely on the Red Planet’s surface will become larger and heavier. This new technology will enable those important missions. NASA’s Space Technology Mission Directorate in Washington funds the LDSD mission, a cooperative effort led by NASA’s Jet Propulsion Laboratory in Pasadena, California. JPL is home to the LDSD project manager, Mark Adler, and its principal investigator, Ian Clark. NASA’s Marshall Space Flight Center, in Huntsville, Alabama, manages LDSD within the Technology Demonstration Mission Program Office. NASA’s Wallops Flight Facility in Virginia is coordinating support with the Pacific Missile Range Facility and providing the balloon systems for the LDSD test. A month after delivering more than 2.5 tons of supplies and experiments to the International Space Station, the SpaceX Dragon cargo craft departed the orbital outpost May 18 and headed for a parachute-assisted splashdown in the Pacific Ocean near Baja, California. Dragon’s departure marked the end of the third commercial resupply flight for SpaceX to the station. 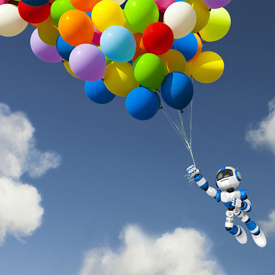 At Keio University, the Ishigami Laboratory, in the Faculty of Science and Technology, Department of Mechanical Engineering, is investigating robotic mobility systems. The main mission of this group is to perform fundamental and applied research for application to extreme environments, notably lunar and planetary rovers. In this research, there are three key concepts: vehicle-terrain interaction mechanics, autonomous mobility systems, and robotic device development. In vehicle-terrain interaction mechanics, the researchers analyze vehicle behavior using a dynamic simulator. They’re also developing vehicle-slip compensation systems and in-wheel-sensor systems. In the area of autonomous mobility systems, the Ishigami Lab is working on environment recognition using laser rangefinders and camera images, as well as robotlocalization, path planning, teleoperation, and integrated sensory processing systems.